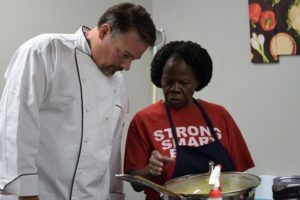 Staff Training in the Education Kitchen | Girls Inc.
Posted on April 6, 2018 by Girls Inc.
Training in the education kitchen. 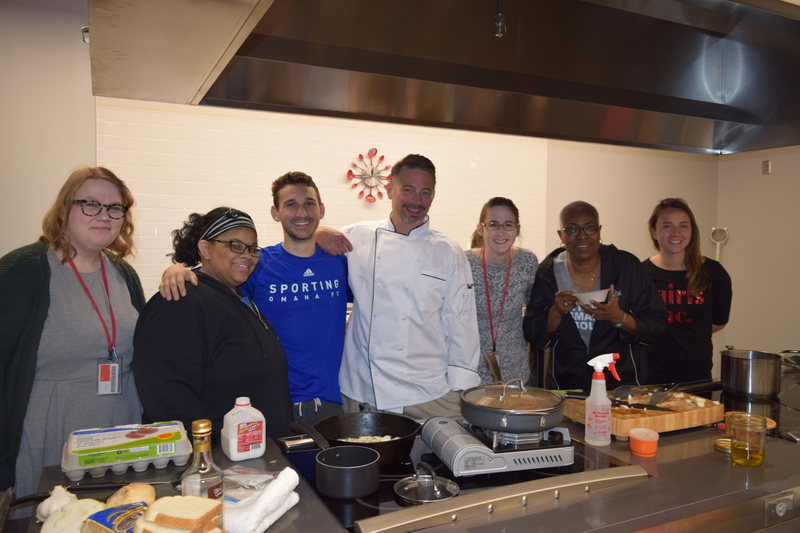 Chef and restaurateur Craig Stenson helped provide training for our staff team in our new eudcation kitchen. A grant from Childrens Hospital Foundation is helping us offer more healthy cooking and meal planning programming for our girls. A part of the grant includes training our staff team to be better health ambassadors in the kitchen. Our guest chef, Craig, gives our in-house chef, Ms. Donna, some tips.